The beautiful Carlyle Desk Globe offers both illumination and raised relief. Classic antiqued oceans and colorful land masses include interesting historic details. 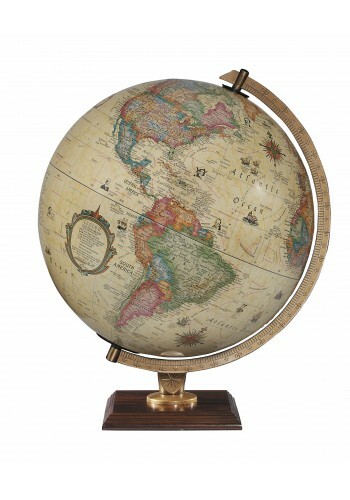 The globe is mounted on a calibrated brushed brass semi-meridian with a hardwood base. The Carlyle Illuminated Desk Globe is backed by a one-year warranty.